The reasons why someone begins to use drugs are too numerous to count. Some start because of peer pressure. Others because of stress. Still, others start out of curiosity. For every addict in the world, there is a uniquely personal reason they began using their substance of choice. Prolonged marijuana and alcohol use reduces the chances of graduation from both high school and college. Additionally, women who use drugs enter the workforce later than women who don’t. In general, drug use can lead to workplace theft and distraction from the job due to thinking about using or getting drugs. Marijuana users alone experience accidents at work at a 55% higher rate than non-users, as well as 85% more injuries and 75% more absences. All of the above drug-related school and work issues can lead to smaller paychecks than non-users. For example, the National Bureau of Economic Research has shown that people who invest more in their education also make more money. Drug users are also two and half times more likely than non-users to have absences of eight or more days, which can result in a loss of over a quarter months earnings for each instance. Because of drug-related physical and mental health problems, addicts can be rendered unable to work, relying on welfare to survive. Relationships between addicts and non-addicts tend to be shorter and less fulfilling than when neither partner is an addict. The loved ones of drug abusers can lose trust in the addict due to unpredictable behavior. Additionally, children of addicts are more than twice as lucky to suffer physical and/or sexual abuse at the hands of their parents. The risk heightens when both parents are addicts. According to the National Institute on Drug Abuse, chronic marijuana use during adolescent years has been proven to lead to an irretrievable loss of IQ points. Use at any age can affect memory and concentration for days or weeks after the high wears off. The severity of the memory troubles depends on how often the addict uses the drug, but memory is affected regardless. The long-term use of inhalants has also been linked to memory loss. Drug use can lead to decreased inhibition and increased unprotected sexual activity, which, in turn, increases the risk of sexually transmitted infections (STIs). When it comes to injectable drugs, sharing needles can also increase the risk of HIV/AIDS and other illnesses. Ecstasy and inhalants can cause heart and liver issues. Inhalants can also cause lung and kidney problems. Methamphetamines can cause dangerous amounts of weight loss. Prescription drug abuse can result in seizures. Cocaine and other stimulants increase heart rate and blood pressure. Inhalants can cause an inability to smell or hear as well as brain atrophy. Depending on the circumstances, these effects may or may not be reversible. Studies have shown that regular users of marijuana are three-and-a-half times more likely to have any psychiatric diagnosis and nearly four times more likely to have a depressive disorder. Marijuana users are also more likely to live with schizophrenia, and experience paranoia and hallucinations. Methamphetamine use can lead to depression, paranoia, hallucinations, and anxiety. Cocaine can cause anxiety, depression, panic attacks, hallucinations, and paranoia. LSD has been shown to cause hallucinations, paranoia, anxiety, and self-harmful behaviors. The risk of suicide is greatly heightened in PCP users. They may also experience paranoia and anxiety. Additionally, substance abuse can often bring other mental illnesses to light, resulting in co-occurring disorder. Being in the possession of illegal drugs or abusing legal drugs can lead to arrest and incarceration. Driving while under the influence can also lead to these consequences, as well as potential harm to others. From 2000 to 2014, overdose-related deaths have increased by 137% and opioid-related deaths have increased by 200%. In 2014, 47,055 people died of a drug overdose, which is one and a half times greater than the amount of people who died in car accidents. So you want to be sober — now what? Employee Assistance Programs (EAPs) can provide some measures of counseling and assistance. EAPs are confidential, ensuring wanted privacy around a delicate issue, and they can make referrals to programs outside of the workplace. Detoxification and rehabilitation programs are available in both inpatient and outpatient settings. According to the National Institute on Drug Abuse, 90 days is the average minimum length of stay in drug rehab in either setting, but methadone maintenance should continue for at least 12 months. They also recommend avoiding short-term rehabilitation, as three months is the minimum recommended length of stay, and more than one course of treatment may be required. As such, extended stay drug rehab is strongly recommended by the US government. There are support groups and programs such as Narcotics Anonymous (NA), Secular Organizations for Sobriety (SOS), and SMART Recovery (Self-Management and Recovery Training) that can help you maintain sobriety once you’ve completed a rehabilitation program. According to the National Council on Alcoholism and Drug Dependence, seventy percent of drug users are employed, and employees often sell drugs to one another. Knowledge of these realities can help you maintain vigilance when befriending coworkers or attending company social events. The National Bureau of Economic Research has also shown that less drug use in the workplace leads to higher morale, so getting sober can also help you be happier in your job. Children of addicts are also more likely to use and/or abuse drugs, so getting sober can protect your children from a destructive lifestyle. Codependency can also develop in addicts’ families, causing different strains on romantic partners, children, parents, friends, and extended family. Getting clean can reduce those troubles. 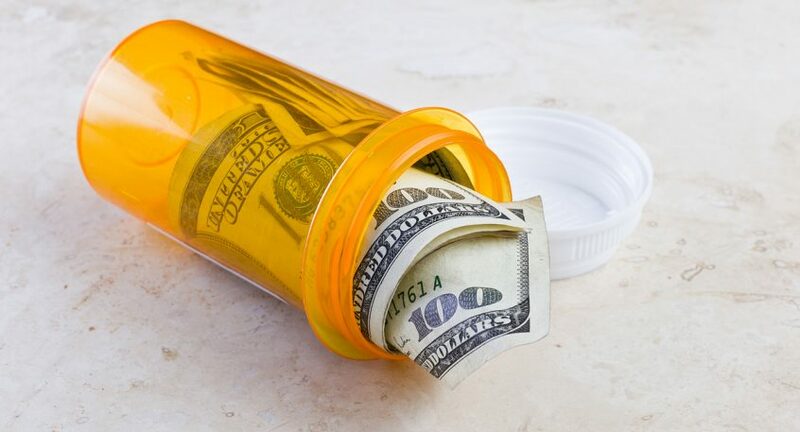 The average cost of drug rehab is $19-96 per week, whereas the average cost of addiction is $97 per week. If anything, the cost of rehab on average is far less expensive than addiction. Relapse is always a possibility. Fifty-seven percent of alcoholics who enter treatment experience a relapse in their first year of recovery. Overall 40-60% of drug users will experience a relapse at some point during recovery. The point is that knowledge and mindset are the keys to success when it comes to achieving and maintaining sobriety. As long as you remember the benefits of sobriety and take advantage of the resources available to you, there’s no reason to believe that you can’t have the healthy, happy life you want — and deserve! Arnsten MD, MPH, Julia H., et. al. “Impact of Active Drug Use on Antiretroviral Therapy Adherence and Viral Suppression on HIV-Infected Drug Users.” Journal of General Internal Medicine. Wiley Online Library, 31 May 2002. 6 August 2016. <http://onlinelibrary.wiley.com/doi/10.1046/j.1525-1497.2002.10644.x/full>. Boys, A., et. al. “Psychiatric morbidity and substance use in young people aged 13–15 years: results from the Child and Adolescent Survey of Mental Health.” The British Journal of Psychiatry, June 2003. 6 August 2016. <http://bjp.rcpsych.org/content/182/6/509>. “Drug-Free Workplace Advisor.” Employment Assistance Laws Assistance for Workers and Small Businesses. United States Department of Labor. 6 August 2016. <http://webapps.dol.gov/elaws/asp/drugfree/benefits.htm>. “Drugs And Alcohol In The Workplace.” National Council on Alcoholism and Drug Dependence, Inc., 26 April 2015. 6 August 2016. <https://www.ncadd.org/about-addiction/addiction-update/drugs-and-alcohol-in-the-workplace>. Fleming, Charles B., et. al. “Romantic Relationships and Substance Use in Early Adulthood: An Examination of the Influences of Relationship Type, Partner Substance Use, and Relationship Quality.” US National Library of Medicine. National Institutes of Health, June 2010. 6 August 2016. <http://www.ncbi.nlm.nih.gov/pmc/articles/PMC2904652/>. French, Michael T., et. al. “The Economic Costs of Substance Abuse Treatment: Updated Estimates and Cost Bands for Program Assessment and Reimbursement.” US National Library of Medicine. National Institutes of Health, December 2008. 6 August 2016. <http://www.ncbi.nlm.nih.gov/pmc/articles/PMC2614666/>. “How does marijuana use affect school, work, and social life?” Marijuana. National Institute on Drug Abuse, March 2016. 6 August 2016. <https://www.drugabuse.gov/publications/research-reports/marijuana/how-does-marijuana-use-affect-school-work-social-life>. “How long does drug addiction treatment usually last?” Principles of Drug Addiction Treatment: A Research-Based Guide (Third Edition). National Institute on Drug Abuse, December 2012. 6 August 2016. <https://www.drugabuse.gov/publications/principles-drug-addiction-treatment-research-based-guide-third-edition/frequently-asked-questions/how-long-does-drug-addiction-treatment>. Jamison, Eliot A., et al. “The Effects of Education Quality on Income Growth and Morality Decline.” The National Bureau of Economic Research, October 2006. 6 August 2016. <http://www.nber.org/papers/w12652>. Kandel, Denise, et al. “Drug Use, the Transition from School to Work and Occupational Achievement in the United States.” European Journal of Psychology of Education. JSTOR, 4 December 1987. 6 August 2016. <http://www.jstor.org/stable/23422128?seq=1#page_scan_tab_contents>. Kilmer, B. et. al. “How Much Do Americans Really Spend on Drugs Each Year?” WhiteHouse.gov, 7 March 2014. 6 August 2016. <https://www.whitehouse.gov/blog/2014/03/07/how-much-do-americans-really-spend-drugs-each-year>. Mayo Clinic Staff. “Teen drug abuse: Help your teen avoid drugs.” Healthy Lifestyle. Mayo Foundation for Medical Education and Research, 2 February 2016. 6 August 2016. <http://www.mayoclinic.org/healthy-lifestyle/tween-and-teen-health/in-depth/teen-drug-abuse/art-20045921?pg=1>. “My Drug-Free Future.” ETR. 6 August 2016. <http://www.etr.org/healthsmart/assets/file/hs/HS_TobaccoLesson.pdf>. “Introduction.” Principles of Adolescent Substance Abuse Disorder Treatment: A Research-Based Guide. National Institute on Drug Abuse, January 2015. 6 August 2016. <https://www.drugabuse.gov/publications/principles-adolescent-substance-use-disorder-treatment-research-based-guide/introduction>. “Principles of Effective Treatment.” Principles of Drug Addiction Treatment: A Research-Based Guide (Third Edition). National Institute on Drug Abuse, December 2012. 6 August 2016. <https://www.drugabuse.gov/publications/principles-drug-addiction-treatment-research-based-guide-third-edition/principles-effective-treatment>. Rudd, Rose A., et. al. “Increases in Drug and Opioid Overdose Deaths — United States, 2000–2014.” Morbidity and Mortality Weekly Report. Centers for Disease Control and Prevention, 1 January 2016. 6 August 2016. <http://www.cdc.gov/mmwr/preview/mmwrhtml/mm6450a3.htm>. “The Coach’s Playbook Against Drugs.” Office of Juvenile Justice and Delinquency Prevention. USA.gov. 6 August 2016. <http://www.ojjdp.gov/pubs/coachesplaybook/effects_of_using.html>. “Treatment and Recovery.” Drugs, Brains, and Behavior: The Science of Addiction. National Institute on Drug Abuse, July 2014. 6 August 2016. <https://www.drugabuse.gov/publications/drugs-brains-behavior-science-addiction/treatment-recovery>. Walsh, Christine, et al. “The relationship between parental substance abuse and child maltreatment: findings from the Ontario Health Supplement.” Child Abuse & Neglect. ScienceDirect, December 2003. 6 August 2016. <http://www.sciencedirect.com/science/article/pii/S0145213403002400>.